Young People’s Clubs in and around Horley, Surrey. To add information or if you spot any errors please click here to contact us. Scouting at 1st Burstow is an adventure, providing opportunities for young people and adult volunteers to develop leadership and team skills through camping, adventurous activities and international travel. 1st Burstow Scout Group website. All sections are open to both girls and boys including those with special needs. 9th Horley Scout Group website. Girlguiding at Horley Methodist Church includes Rainbows, Brownies, Guides and Senior Section. We are for all girls and young women, whatever their background and circumstances. We offer them fun, exciting activities and the chance to make life-long friends. Our groups are fully integrated to include girls with disabilities. We give girls a space where they can really be themselves with other girls and share the experience of growing up as a girl in today’s world. Girl Guides in Horley website. 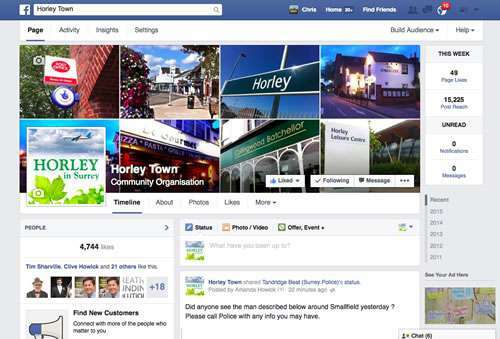 Click here to see the fitness and sports clubs in and around Horley. Click here to see the arts and social clubs in the Horley and Gatwick area.